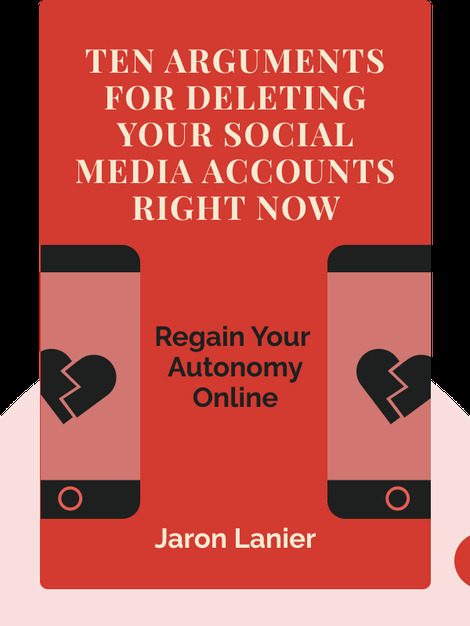 Ten Arguments for Deleting your Social Media Accounts Right Now (2018) is a modern-day cri de coeur. 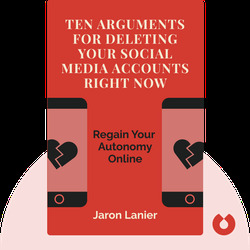 It offers, with ten distinct arguments, an all but irrefutable case for deleting your social media accounts. From their ethically dubious data-selling practices to the way they manipulate users, current social media companies are doing society a major disservice. Your best option right now is to delete your accounts until better options emerge. Jaron Lanier, one of the founding fathers of virtual reality, is a visual artist and composer. In addition to writing computer philosophy, he’s delivered multiple popular TED talks. TIME magazine named him as one of the world’s 100 most influential people in 2010. His previous books, Who Owns the Future? and You Are Not a Gadget, were both international best sellers.